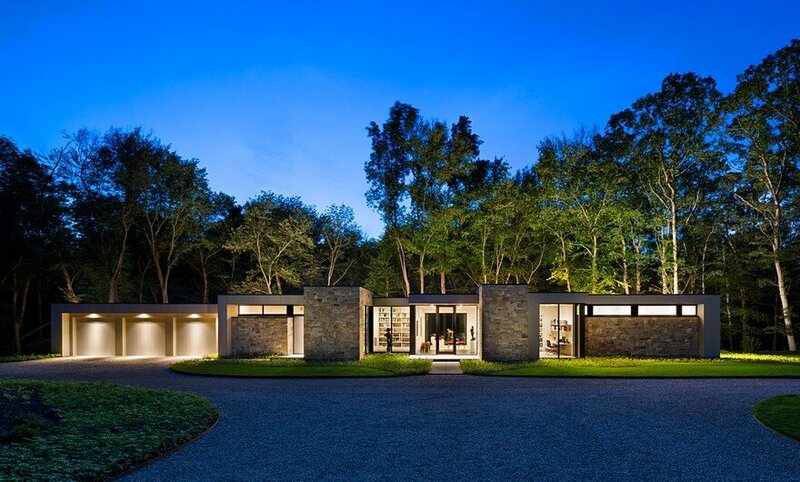 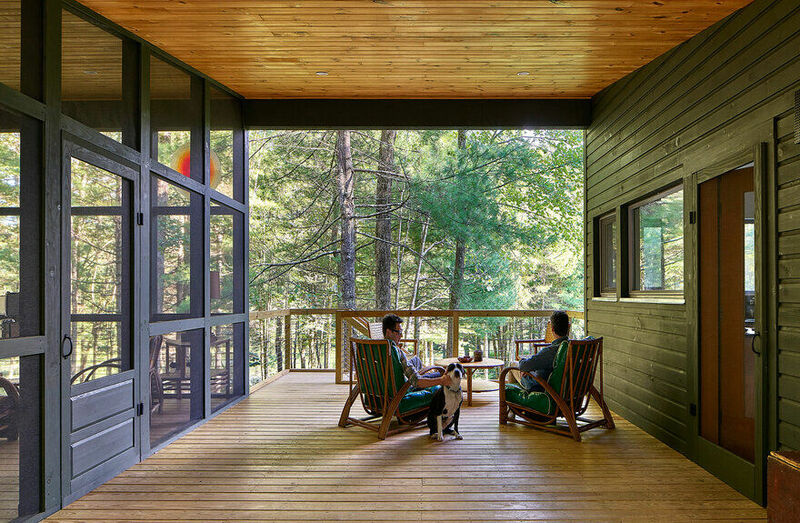 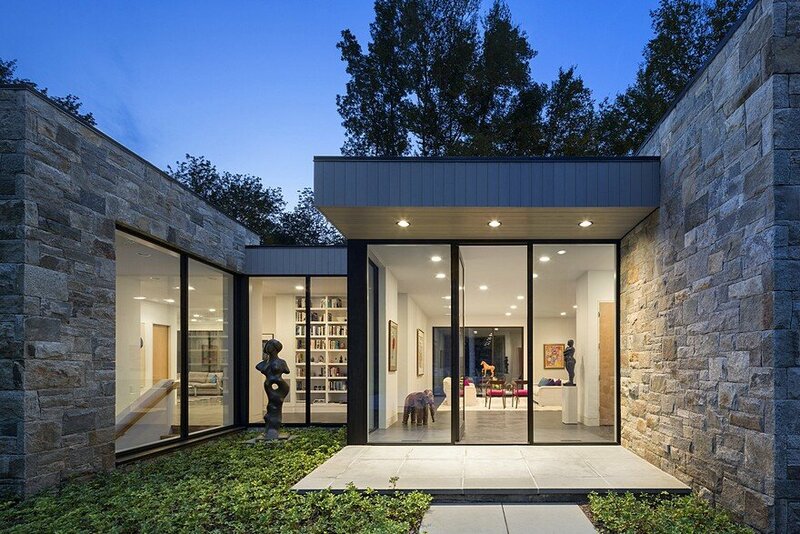 Nestled into a wooded property in Westchester, Art House 2.0 is an award-winning, new construction, modern passive solar house that showcases the clients’ modern art and mid-century modern furniture collection. 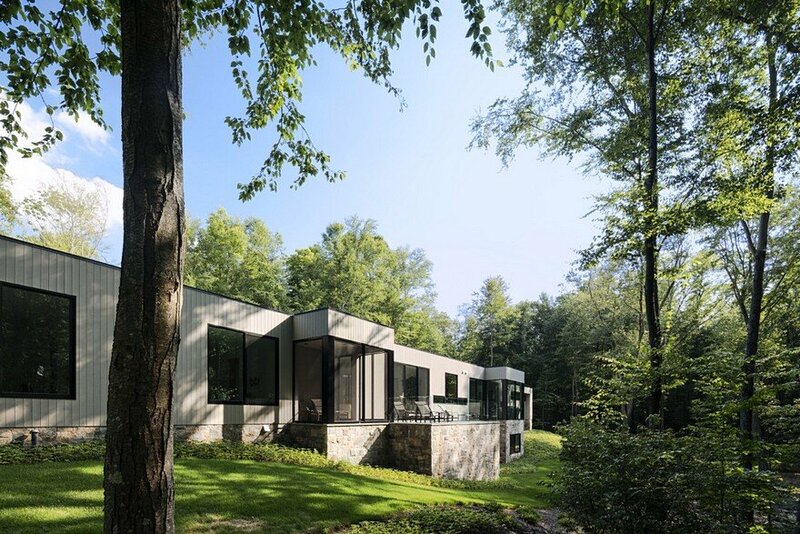 Designed for the owners to “age in place,” the one-level home is an open, airy, gallery-like home that frames views to the natural woodland setting. 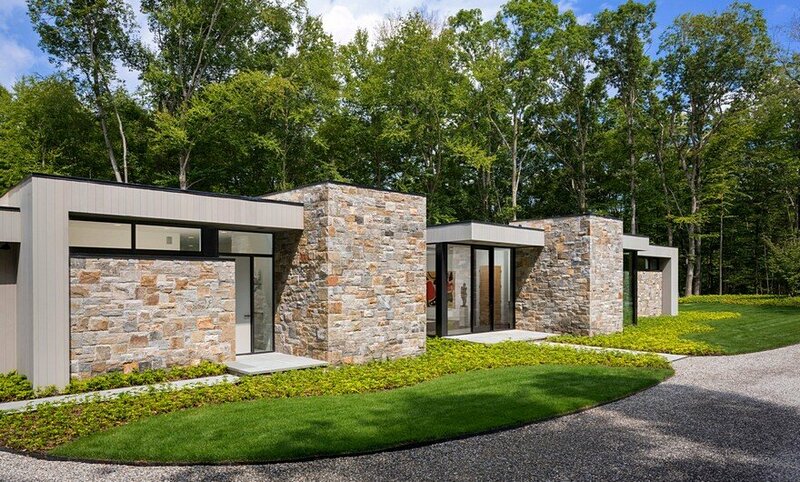 The use of indigenous ashlar, fieldstone, and cedar siding juxtaposes the home’s rectilinear forms and glass expanses. 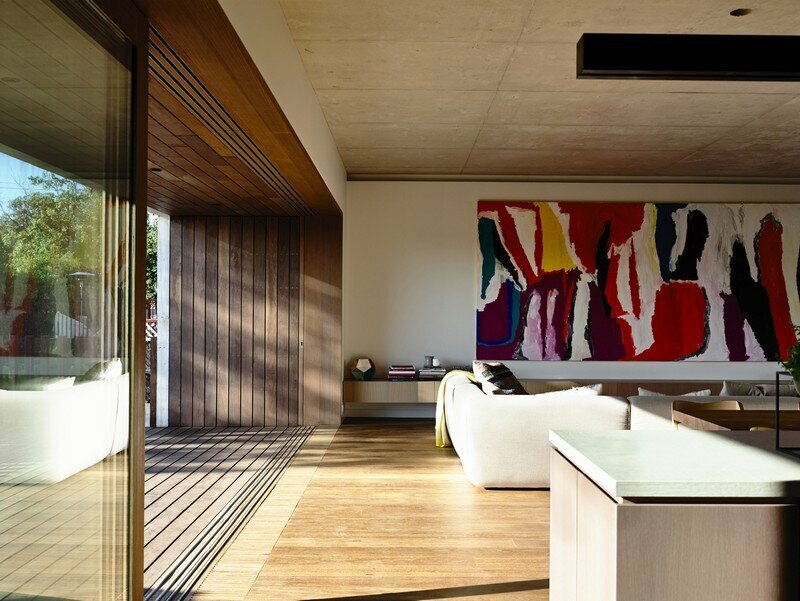 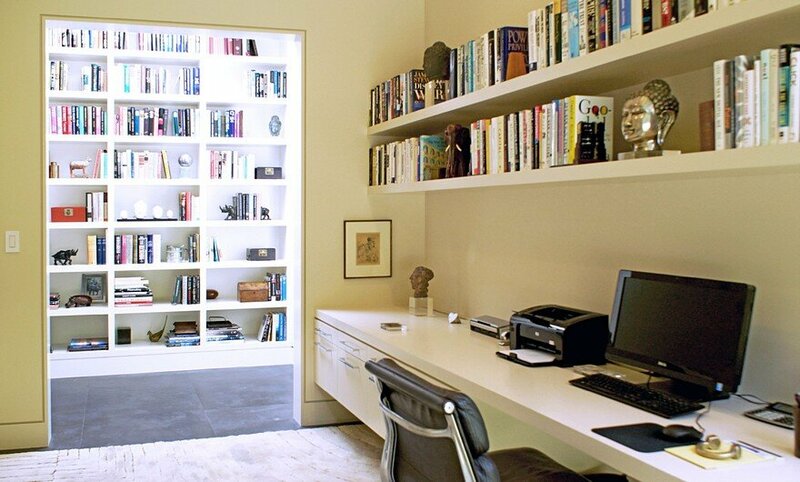 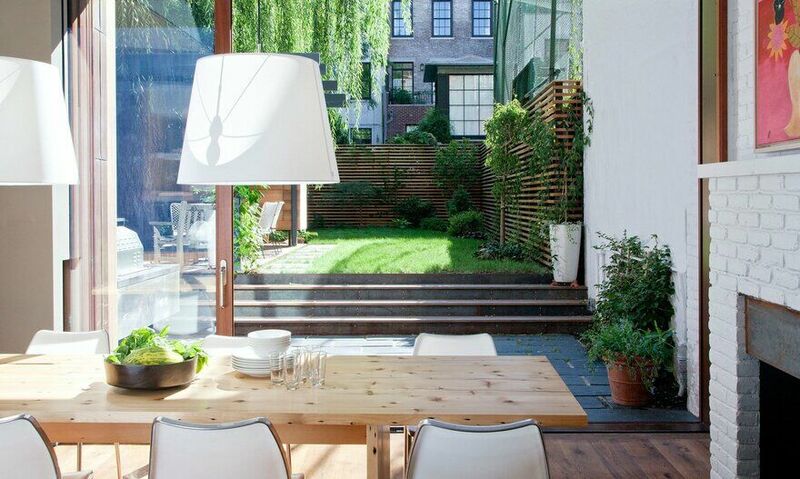 Shaded horizontal overhangs take advantage of natural daylight to illuminate the interiors. 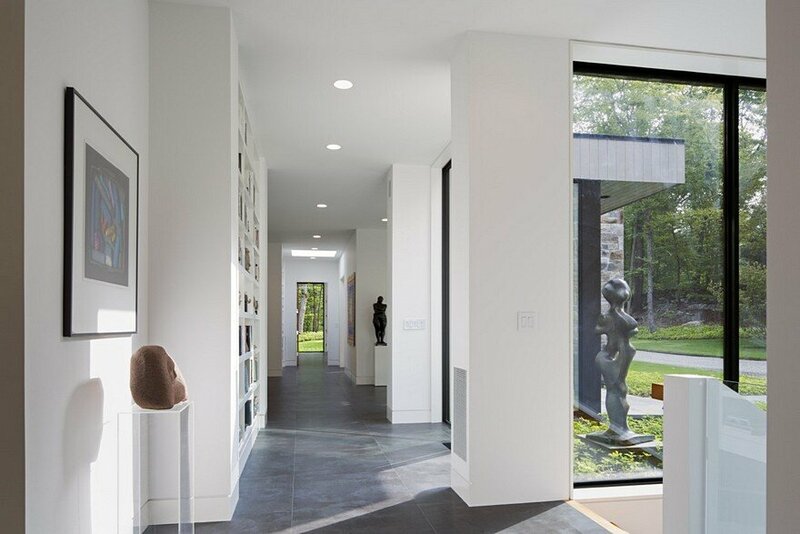 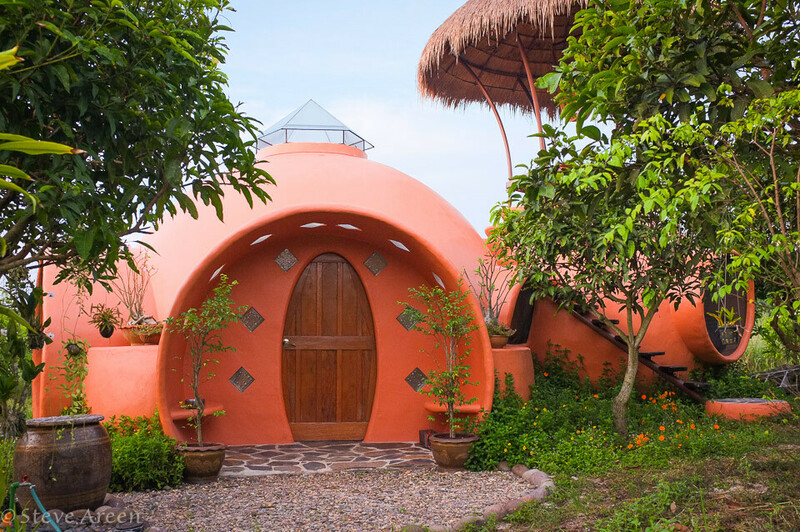 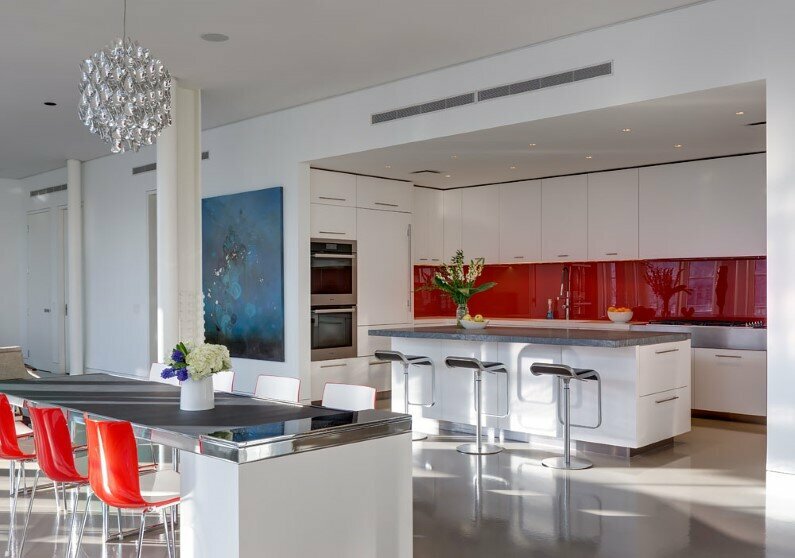 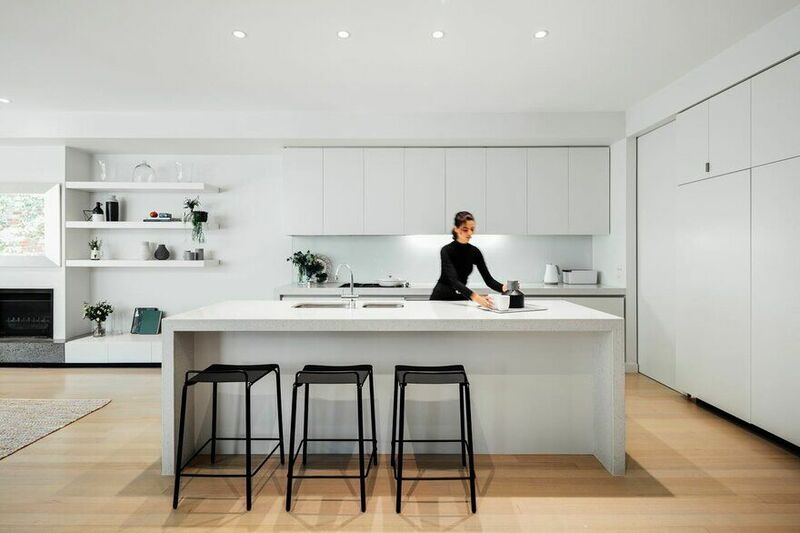 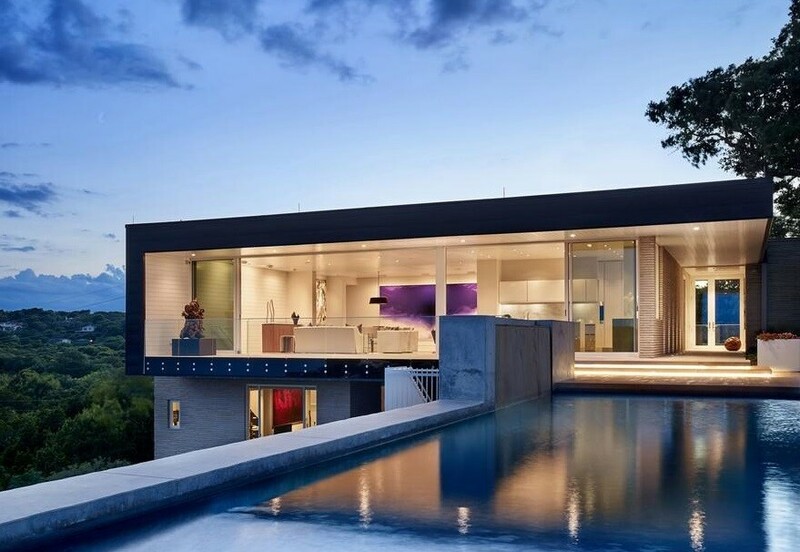 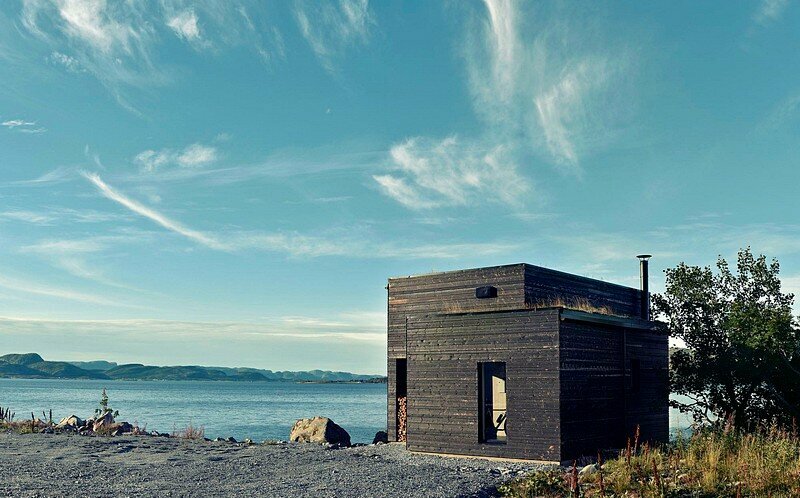 Geothermal energy systems and Nest technology respond to the environmental aspects of the home, and sculpture niches, inside and out, are designed to focus the views within and further the inside/outside gallery environment. 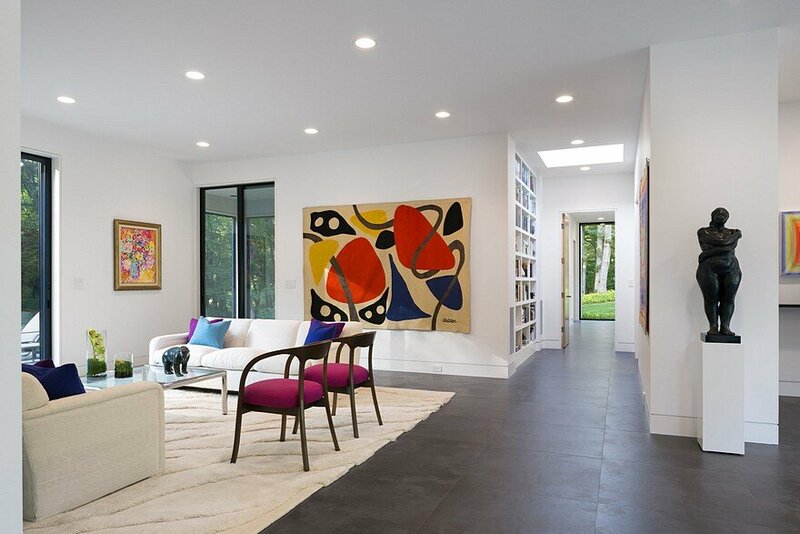 Designed with views framed to nature, the clients enjoys the art of the landscape and ever changing display of nature, while enjoying the permanent collection of art within. 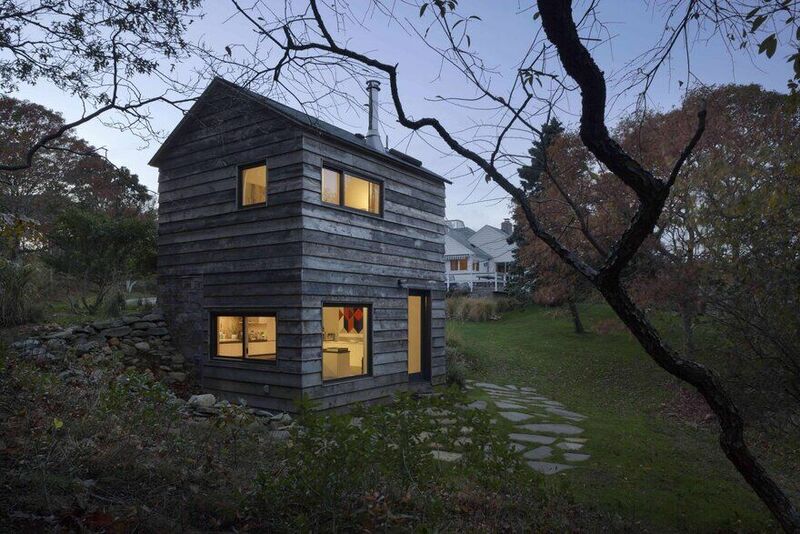 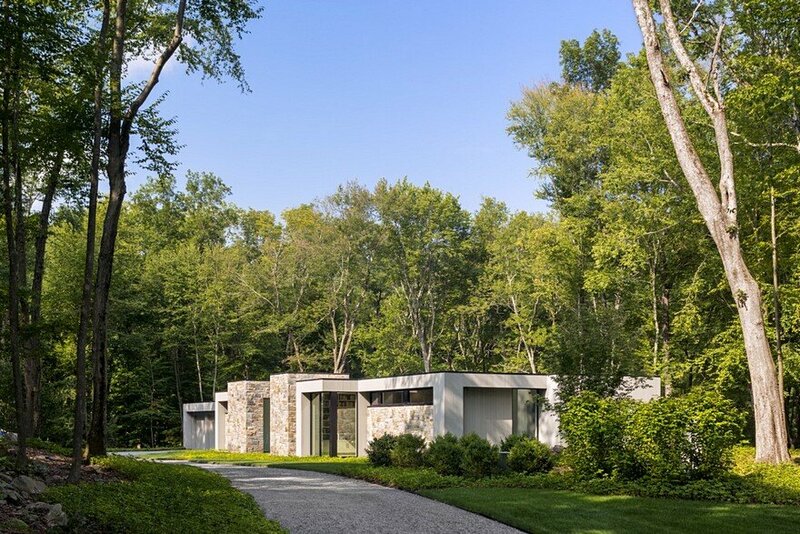 Embedded in the woods, the residence is a tranquil canvas for two art lovers.